Chris Cassidy was eight years old when healthcare became a major theme in his life. Playing with friends, Cassidy was accidentally struck in the head with a golf club. At first, his doctor didn't realize how serious the injury was, and had Cassidy's mother not pressed for a CT scan, the boy might have died. "My mother's advocacy had a huge impact; it formed my passion for healthcare, which became a bridge to my supply chain management career," says Cassidy, who joined UPS in April 2018 as president of global healthcare logistics strategy. 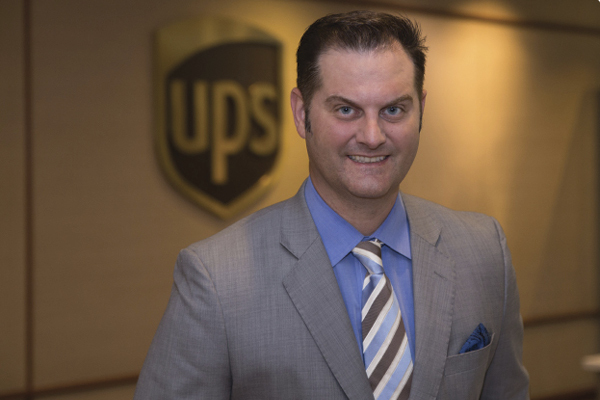 Cassidy recently told us about the interests and principles that drive his leadership, and about his mission at UPS. "Every day, take five to 10 minutes to reflect on what you did that day and what you learned." That's the first piece of advice Chris Cassidy would offer a young person embarking on a career in supply chain today. "Think about what you did successfully, what you can improve, and what you would do differently next week." Then, based on those reflections, take action to make a difference. "Don't look back; just remain positive and look forward," he says. While focusing on your current job, don't forget to think about your long-term goals, Cassidy advises. "Of course, the journey will never be what you expect," he notes. But you'll probably achieve more than what you expected. Finally, focus on depth as well as breadth. "Don't jump from job to job because of titles or promotions," Cassidy says. "Take the time to learn the content of each role."